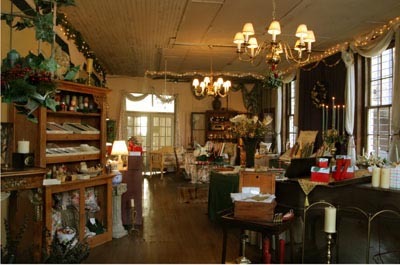 The Cottage Stillroom got its start in the spring of 1981. This company experienced its humble beginnings as an acquaintance introduced the centuries-old craft of hand-pouring beeswax into tin "tube and funnel" moulds. There was an immediate bonding with the art form of the age-old French processes and the use of that wonderful substance. Aline Bowles felt heart-ties with this art form that soon resulted in the formation of the business she now owns and operates. The kindly affection she had for the old techniques experienced early in her exploration has not been diminished over the years. It is her conviction that there is much to be preserved and shared with others of the quality found in hand-producing a product of quality using completely natural raw materials. That is the driving force behind much of what goes on here at The Cottage Stillroom today. We moved into the factory building pictured in the background of this web page in 1991, and although the building is a young one by comparison with the techniques being employed in candle production (the building was built around 1878), it has a wonderful character all its own. If you are wondering about the use of "Stillroom" in our company name (as the gas company did when we asked them to hook up a service for us) then here is an explanation. In the late 18th and early 19th Century on rural plantations there was a room called a "stillroom" which was set aside for the distillation of herbal essences from their natural sources, the end-product being whatever herbal oil, such as lavender, they raised on the plantation. Some herbs were dried in this room to be used later as teas or tisanes while others were blended as strewing herbs to be placed under rugs to repel fleas and to permeate the room with a fragrant aroma as one entered it. Herbal and floral essences were used to complete perfumes and sachets. Many of these were blended together to make luscious potpourris. As for the use of beeswax in candles, it has been considered the ultimate substance for this use for centuries and centuries. The inordinate expense of it has been waived in light of its superior functional qualities. Not only do the candles tend to be dripless and smoleless in their burning, but the aroma of beeswax as it is heated has a unique way of touching one's soul. Inexplicable, yet undeniable though it may be, this is the experience of most people who have smelled a beeswax candle burning. 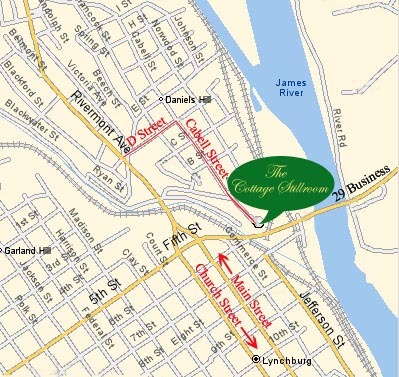 If you are in the Lynchburg area, we would enjoy a visit with you at our shop (shown below.) Call us, and come on in! and Beeswax Candle Factory, Inc.